The aerospace and defense industry faces a multitude of challenges – ranging from revenue growth to sustenance of organic operations. 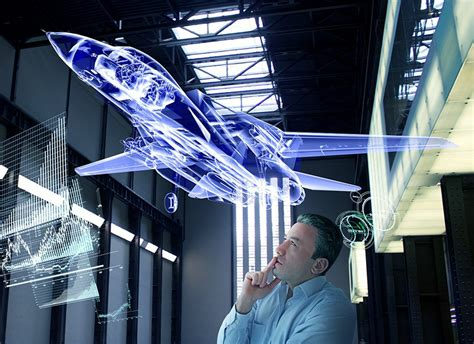 The Aerospace and Defense industry is transforming. The changing global economy and demand from emerging markets such as India brings different challenges to global aerospace and defense industry leaders. Industries must identify new partnerships and new ways to leverage regional partnerships to address different regulatory requirements across different geographies. Cost, time-to-market and a need for sustainable innovation are key drivers for growth in the industry. Access to new markets is another factor that will determine success in aerospace and defense. As a leading Global Design House for Aerospace & Defense engineering services and solutions, WondersMind is a partner of choice for top aircraft Original Equipment Manufacturers (OEMs) and several Tier I suppliers. We are also a key partner to Indian defense organizations. We operate large-sized engineering centers for many of our customers. We support our partners not only in design and development but also in enabling them to become key market players in their respective countries and regions. Our extensive domain expertise across business jets, regional jets, commercial jets and trainers enables us to understand the major challenges that the industry faces and how to address them. WondersMind Aerospace Engineering offerings span the complete aircraft development cycle, including airframe structures, systems, and interiors for a wide array of aircraft ranging from trainer, transport, business and fighter aircraft, and helicopters to launch vehicles for satellites and gas turbines. Complete lifecycle support for safety critical on-board and ground systems across aerospace projects. Hardware engineering services, such as board design, design analysis, and platforms for in-flight entertainment. Composite lifecycle solutions encompassing industrial design, CAD, CAE, reliability, and documentation. Test solution implementation experience and strong process and standards for test equipment design and development. Next generation PLM strategies for lower risk and increased agility. WondersMind leverages their on-shore engineering capabilities to each client’s needs in the aerospace and defense industry. WondersMind helps A&D OEMs and Tier 1 suppliers improve their production rate through our core engineering expertise. Our avionics capabilities contribute to reducing time to market through improved development cycles and risk reduction in product development through risk sharing on obsolescence, stringent regulation, and new technology introduction. WondersMind delivers integrated aftermarket solutions by providing component MRO services, digital transformation for greater effectiveness, and risk-sharing partnerships through our global network to provide localized support within the supply chain ecosystem. WondersMind is an ideal partner to maximize offset obligations and realize the potential of the ‘Make in India’ initiative through our global network, with a primary focus on our design and manufacturing capabilities in India, but also provide innovative enhancements for future proofing.